The thyroid gland is among the most important glands in your body and it manufactures the thyroid hormone. According to Medscape, thyromegaly or goiter is as a result of your thyroid gland growing bigger than it should. The thyroid gland is butterfly shaped and is located below your Adam’s apple in the lower part of the neck. Therefore, it is important to know what causes this disease, determine whether it is cancerous, and how you can get treatment. 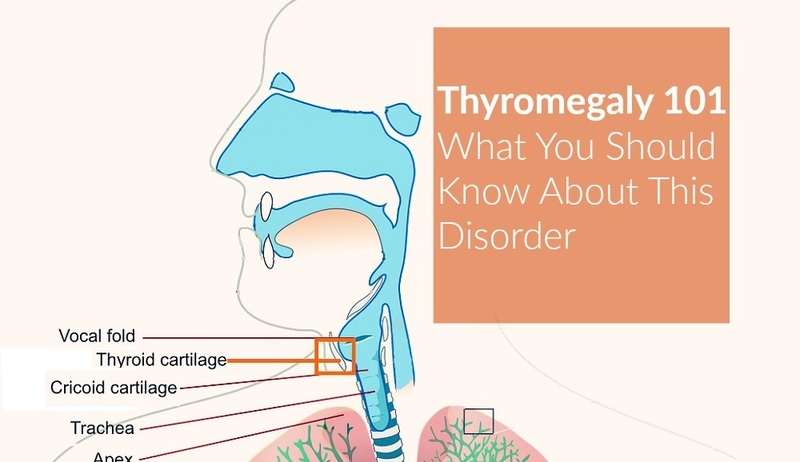 Many normal people have this disease that arises due to abnormalities in the thyroid gland and causes a soft mass of tissue to develop on the lower part of the neck. Most people who suffer from this disorder lack iodine or their thyroid glands are not well balanced, according to the American Thyroid Association. (2) The main complication with the thyroid hormone is that it should not be less or excessive in the body. You need the right amount of this hormone in your body so that you don’t worry about ever suffering from this disease. Doctors can diagnose thyromegaly by conducting a CT scan. The scan will enable your doctor to see the iodine level in your body. However, it is difficult for your doctor to determine whether the soft mass is cancerous or benign by only using a CT scan. This is because the CT scan can only track different types of masses. Therefore, your doctor should combine the CT scan with other laboratory tests to verify the status of the thyromegaly. You should visit a doctor who specializes in this field to get the best results. The endocrine gland produces hormones that control many functions in your body including metabolism and most people don’t think of their thyroid until when it is too late. This condition has many different causes and can affect anybody despite their age. There are three varieties of thyromegaly and they are categorized depending on their visibility. In this type of goiter, there is not enough production of hormones and this causes inadequate replacement therapy. The gland grows in the collarbone which is located below the clavicle. The hypothyroid is further categorized into three classes depending on the size of the lump. Many people believe that goiter occurs after a serious sickness or illness or if they do the wrong breathing exercise during childbirth. Others think that it occurs after a person has lifted too much weight than the body can carry. Up to date professionals have not found any scientific proof to back up these theories. There are several other causes of goiter and you will need an experienced professional to help determine why you are suffering from this disease. The most common sign of goiter is a swelling on the lower part of the neck. (10) But not all people who have goiter have the under-mentioned symptoms. The symptoms will vary depending on the extent of the swelling of the thyroid gland. Goiter often leads to stiffness around the throat area causing a gradual change in the voice and coughing. The swelling in the neck is only visible after the thyroid gland has enlarged beyond the normal size. This can then cause difficulty when drinking or swallowing depending on the size of the thyroid gland. However, the swelling will change the way you talk. Your doctor will by diagnosing you and examine the area around the throat for any signs of swelling or inflammation. Your physician can also request you to provide a blood sample which will be tested to measure the levels of T3 and T4. 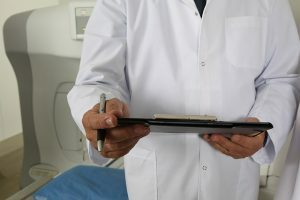 The results of the blood test can also influence your doctor to conduct a CT scan to determine the location of the swelling on your thyroid gland. People who have small masses of goiter that are non-cancerous do not always seek treatment because the mass cannot cause any harm. If your lump is big and cancerous you should get treated as soon as possible. If you are not treated the swelling will cause greater damage to your general health. One of the major causes of thyromegaly is having high or low levels of the thyroid hormone. Replacement of the hormone can be done through radiation treatment or surgery. This procedure is time-consuming but effective in treating nontoxic thyromegaly. This mode of treatment is effective and can reduce the size of non-cancerous lumps in time. But this does not apply to everyone. In some cases, the lump can increase and cause great discomfort. If you experience this side effect contact your physician immediately. The two most commonly used drugs to stabilize the size of the gland from growing include Methimazole and PTU. These drugs work by reducing the level of hormones in your body including the thyroid hormone. This is a home remedy and not a common treatment. However, you can adopt some of the therapies that have been proved to work. » Consuming shingara daily. You have to follow this treatment strictly for you to be able to eliminate the goiter during its early stage. A recent survey published by the National Center for Biotechnology Information (NCBI) indicates that a number of people had experienced positive results by using this technique. » Drinking fluids such as fruit and vegetable juices and milk. Ensure you sip these fluids for three to five days continuously. These fluids will purify your body and control the hormone levels. This will lead to the gradual decline of the swelling. » Apply dandelion paste to the swelling and the surrounding area at least two to three times each day for a few weeks. This will reduce the size of the swelling gradually only if you follow these therapy strictly. Statistics indicate that many Americans don’t know that they are suffering from a goiter disorder. It is important to know whether you are suffering from goiter even when you don’t have any visible signs. Don’t think twice on any issue that concerns your health because you have only one body and you should take care of it. If you neglect the responsibility of leading a healthy life then you should not expect to have a long one. Trigeminy – Why It Happens And How It Is Treated?